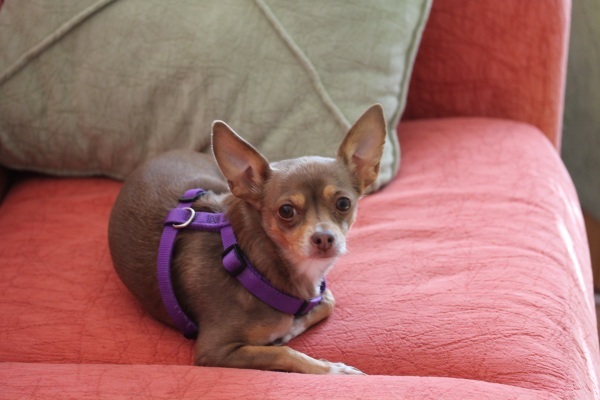 My dog is great about making me feel guilty when I get busy around the house and ignore her for too long. She pouts on her bed pretending to ignore me or anxiously looks at me every time I walk through the room in case I might mention the “W” word. But Shadow is still sulking around me waiting for daddy to come home. I swear on the weeks hubby is away, he thinks it’s my fault like the empty food bowl I heard all about before my alarm this morning. Oh, that was my fault. 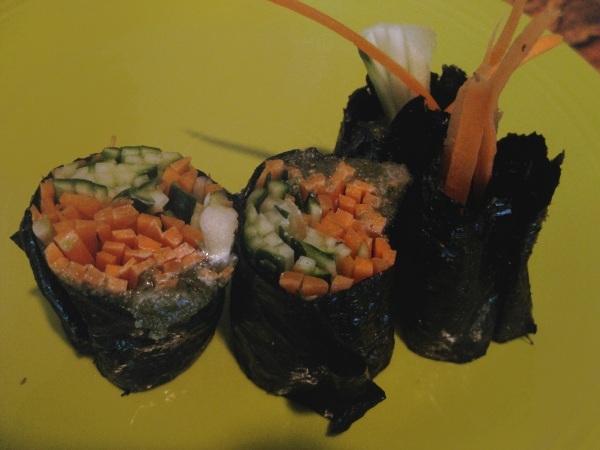 Lunch was nothing to feel guilty about and I may have even improved my nori wrapping skills … kind of. 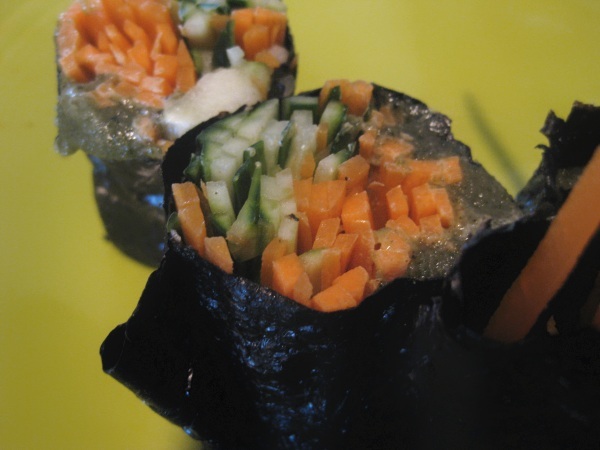 I smeared Hemp Butter Pate on a nori sheet with sliced carrots and cucumber for a fun and simple lunch. And the rolls almost look neat. More importantly they were very tasty with a rich and savory flavor and cool crunch. The pate added a satisfying heartiness to the veggies. Since we’re heading into a nice, long weekend, I’ll probably be snacking on a lot of popcorn. I gave it up for 6 months when I first went raw striving for a high-raw diet, but I missed it too much and brought it back into my life. And I love that I can buy dried popcorn in minimal packaging bulk from Whole Foods for pennies compared to cheap, microwave popcorn. And that it takes about as much time to pop a batch in my trusty Presto Hot Air Corn Popper as it does to nuke a bag of microwave popcorn. Even better are the flavor possibilities! 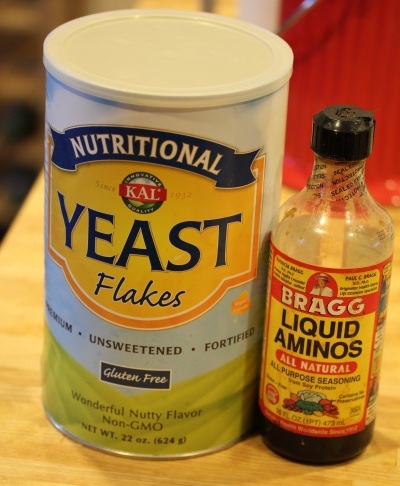 Recently I’ve discovered two more flavor combos I adore, one drizzling with Bragg Liquid Aminos and nutritional yeast. They add a low-calorie savory and cheesy flavor perfect for a salty snack craving. 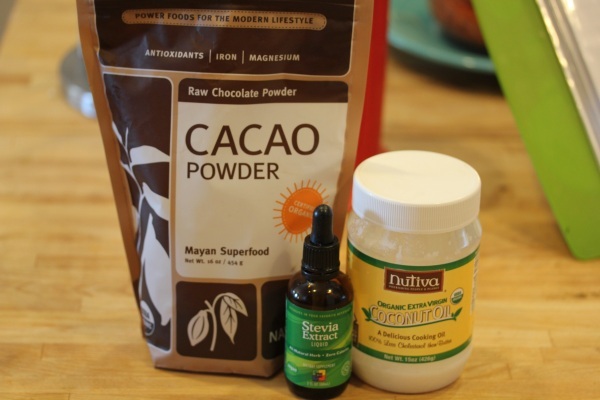 For the occasional sweet craving, I toss in a little coconut oil, liquid stevia, and sprinkle with raw cacao powder. The stevia counters the slight bitterness of the cacao nicely and the coconut oil adds a rich, smoothness to the flavors. 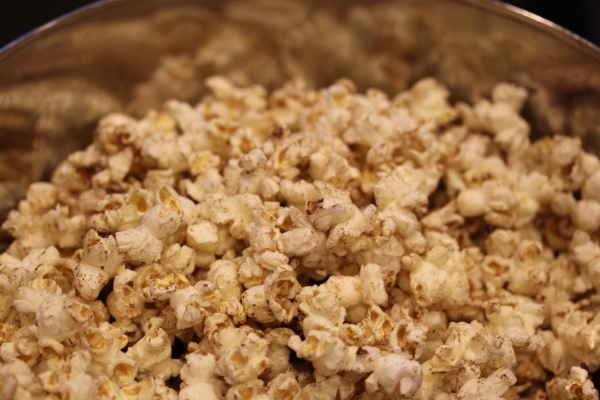 Are you a popcorn fan? What’s your favorite seasonings to add? 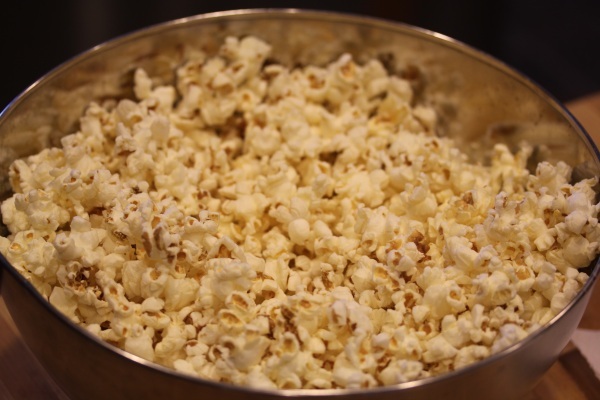 I’m definitely a popcorn fan…but haven’t indulged in a while. I really like coconut oil with black pepper (and sometimes a tiny bit of dulse or kelp powder). Cinnamon is good too! mmmm! i havent had popcorn in a hot minute! that needs to change =) I like mine with pb m&ms in it if i’m feeling chocolatey or (my usual) cayenne pepper and parm! 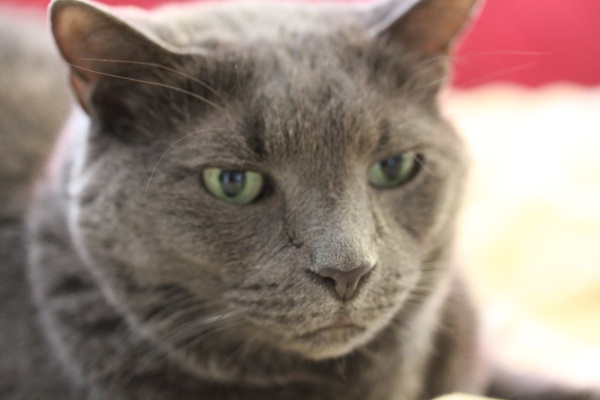 my (ok ok p’s) cat pouts when the hubs is away and blows bubbles and foams at the mouth in excitement when he gets back after a day or so. major bubbles after 2 weeks. bahaha! I am a popcorn lover for sure! I love sprinkling nooch on mine too! I also like doing peanut flour paste over it! Yum! You got mad nori wrapping skills!! !